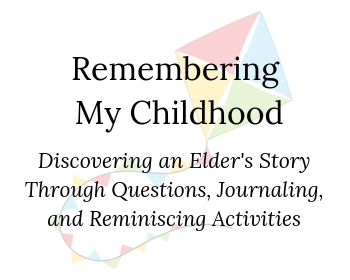 Help an elder to rediscover childhood memories. With well over 100 questions and space for answers, you may record and create a journal for years to come. Reminiscing games and activities are also included to inspire more stories. This is a great family project with an older family member or can be used in a group setting with elders!